The Miles Quintet of the mid-1960s ranks among jazz’s most heralded aggregations, along with John Coltrane’s Impulse!-era quartet, the Modern Jazz Quartet and Davis’ own five-piece from a decade before. Miles, Wayne Shorter, Herbie Hancock, Ron Carter and the late Tony Williams jelled together playing primarily standards and hard bop, as captured on the quintet’s Plugged Nickel recordings from late 1965. But in a manner similar to other musicians of the period, Davis began to shift the emphasis toward harder-edged arrangements, integrating elements that shared structure with rock music. The release of “Filles de Kilimanjaro” in 1968 showed Davis leaning squarely in that direction, with the compositions “Frelon Brun” and “Mademoiselle Mabry” among the early example of what later would be coined jazz-rock fusion. As the sessions for “Filles de Kilimanjaro” gave way to those for a follow-up album, Davis began playing with some of jazz’s top names, who would go on to become fusion legends: guitarist John McLaughlin, bassist Dave Holland and keyboard players Chick Corea and Joe Zawinul. McLaughlin had moved from his native England to play in Williams’ group, Lifetime, and Miles was so impressed on hearing the guitarist that he immediately invited him to record. The results hardly pleased jazz purists, who probably had hoped Davis would stick with bop instead of progressing toward other musical forms, like Coltrane and others had done with “New Thing” free jazz. Miles’ music certainly wasn’t as atonal as the New Thing, but it hardly sounded like what he had done in the ’50s. The result is a steadily paced, fascinating flow of music, opening with Zawinul’s electric piano, Corea’s organ and McLaughlin’s guitar setting an easy tone. After a few minutes, Davis plays the main theme of “Shhh,” carefully phrasing the melody on his trumpet as the other musicians continuing in a modal style, with no chord changes. Shorter then takes his turn, overlaying a continuous descending piano pattern, as Williams and Holland maintain the rhythm in an earnest but relaxed manner. McLaughlin returns for some more tasteful guitar before the main theme comes back into play. The second composition begins with McLaughlin playing an ethereal theme backed by a sprinkling of keyboards and Holland’s droning bass. Davis joins in, playing the same somber style, until the 4:11 mark, when the full band backs a relatively fluid trumpet solo. The dual composition, and perhaps the entire album, coalesce around 12 minutes in, when Miles blows freely over full-volume accompaniment, demonstration the vast potential for fusion. The piece ends with a reprise of the dulcet tones of the opening, with Davis fully setting the tone with his empathetic work on the horn. “In a Silent Way” lays the groundwork for a series of Miles Davis recordings that push the envelope, eventually transcending jazz, rock, funk or whatever label you might want to place on his music. By the time he “retired” in 1975, Miles and his band were playing fully improvised shows at blaring volume, with the band leader turning his back on the audience to concentrate on creating new revelations with each performance. Jazz, in its basic form, is supposed to be all about capturing the moment. And Miles Davis certainly answered the bell in that regard. For a guitarist who primarily did session work in his native England during the mid-‘0s, John McLaughlin’s reputation preceded him. On March 25, 1969, he sat in with Jimi Hendrix for a jam session at the Record Plant in New York City. An album from the resulting tapes was set to be released in the ’70s but was shelved, one of the few Hendrix recordings that seems to have escaped such a fate! McLaughlin, meanwhile, had come to America to join Miles Davis drummer Tony Williams in his trio called Lifetime, which also featured keyboard player Larry Young. From there, it was an easy step into session and live work for Davis, who was in the formative stages of his seminal work in jazz-rock fusion. By 1971, McLaughlin was fronting his own band, which he called the Mahavishnu Orchestra with encouragement from his guru, Sri Chimnoy. Joining him were virtuoso musicians Billy Cobham on drums, Jan Hammer on keyboards, Jerry Goodman on violin and Rick Laird on drums. The new band followed the general concept developed by Williams’ group, of jazz motifs played at dizzying volumes. “The Inner Mounting Flame” opens with a prime example of what to expect from the band’s sonic capabilities. “Meeting of the Spirits” features the musicians playing at full tilt, with McLaughlin’s guitar leads surging through a quirky rhythmic structure that puts the power of Cobham’s drumming on full display. “Dawn,” as the title suggests, calms the proceedings down a bit, with Hammer’s electric piano setting an easy, upbeat pace. Following a Goodman-dominated establishment of the melody, McLaughlin steps up for a guitar solo at approximately the 1:20 mark. The results are astounding, as his fingers glide over the strings of his Gibson at lightning speed, the mastery of which must be heard to be believed. The metallic overtones return with “The Noonward Race,” as McLaughlin again dominates proceedings with his breakneck runs. Rumor has Laird and Goodman getting into a fistfight during the recording of the piece, as the other members played louder to drown out the sounds of the altercation. Cobham and Laird take a break for “A Lotus On the Irish Stream,” which features McLaughlin, Hammer and Goodman unplugged. McLaughlin shows his prowess on the acoustic guitar, an instrument he later played exclusively with his late-’70s band Shakti. “Vital Transformation” picks up the dynamics significantly with Cobham contributing heavy percussion to start the tune, a technique he’d use effectively two years later on his stellar solo debut, “Spectrum.” A long middle stretch has McLaughlin and Goodman playing an adrenaline-fueled lead duet. “The Dance of the Maya” opens in an unconventional time signature before breaking into a decidedly bluesy motif featuring Goodman’s violin. The song returns to its jazz inflections, with McLaughlin dazzling once more, before returning to the original rhythm. Perhaps the most interest track on the album, and certainly the most influential, is “You Know You Know.” McLaughlin opens with a moody guitar theme, which eventually is joined by the other musicians and repeated over the course of five minutes, with everyone contributing his own inflections, before Cobham closes with a frenetic percussive run. The theme has been sampled by numerous contemporary artists, including Mos Def, Massive Attack, David Sylvian and Blahzay Blahzay. Closing “The Inner Mounting Flame” is the relatively brief, full-volume “Awakening,” which also provides a showcase for Cobham’s drumming. The Mahavishnu Orchestra did even better with its follow-up album, “Birds of Fire,” which peaked at No. 15 in 1972. But that was the group’s swan song, as inner tensions pulled it apart by 1973. McLaughlin later recorded under the Mahavishnu Orchestra name, and while the results are interesting, they fall short of what the original lineup had to offer. Of interest: Rick Laird retired from the music business in the early ’80s to concentrate on photography. In 2009, he found numerous photos he’d taken of jazz musicians that never had been seen. His work is featured on jazz.com. Davis’ floating cast of musicians served as the proving ground for what would become the Who’s Who of jazz-rock fusion, including Herbie Hancock, Joe Zawinul, Wayne Shorter, Tony Williams, Chick Corea, Jack DeJohnette, Airto Moreira and British guitarist John McLaughlin. Columbia Records, Davis’ label, was quick to sign the band McLaughlin founded in 1971, the Mahavishnu Orchestra. The quintet he formed – with Jan Hammer on keyboards, Jerry Goodman on violin, Rick Laird on bass and Billy Cobham on drums – played astonishingly intricate instrumentals at a volume associated more closely with Blue Cheer or Black Sabbath than anything having to do with jazz. 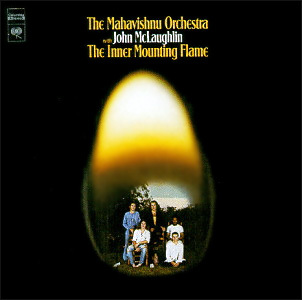 The original Mahavishnu Orchestra, unfortunately, lasted only a couple of years, and toward the end of that run, the percussionist recorded his first solo album. “Spectrum” is one of the crowning achievements in fusion, with Cobham choosing wisely for his fellow musicians: Hammer, Lee Sklar on bass and the late Joe Farrell on woodwinds. On guitar was a kid who’d started in the rock ‘n’ roll milieu, the late Tommy Bolin. The Sioux City, Iowa, native had played in a Colorado band called Zephyr before forming his own fusion group, Energy. He later replaced Domenic Troiano (who’d replaced Joe Walsh) in the James Gang. Bolin met Cobham through former Jimi Hendrix producer Eddie Kramer at Electric Lady Studios in New York City. And the guitarist, just 22 at the time, met the expectations Billy had come to expect by working with McLaughlin. OK, that’s the guitarist’s standpoint. The project belonged to the percussionist, though, and he responded with a songwriting and instrumental effort that solidified his reputation as fusion’s pre-eminent drummer. The six tracks on “Spectrum,” three of which open with fluid percussion solos, are uniformly listenable, unlike some of the more esoteric elements of jazz-rock at the time. For example, the opener, “Quadrant 4,” remains one of the best-known exercises in fusion, with Bolin’s scorching guitar duetting with Cobham’s high-energy drumming to lead into a memorably stuttering melody augmented by Hammer’s keyboards. Bolin eventually replaced Richie Blackmore in Deep Purple, then OD’d in Miami after opening for Beck. 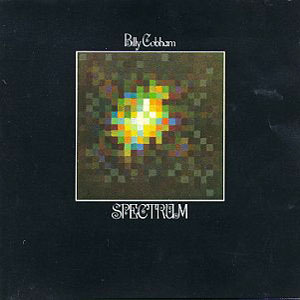 The fusion of jazz and rock peaked shortly after the release of “Spectrum.” The genre still has many adherents to this day, but they’re going to have to search long and hard to find something as listenable and enjoyable as Billy Cobham’s debut.